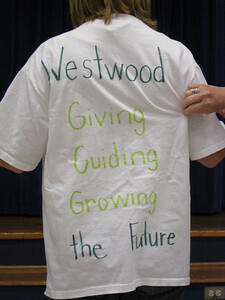 Faculty and staff members at Westwood Elementary spent their first day back at school getting reacquainted and doing some character-infusion. 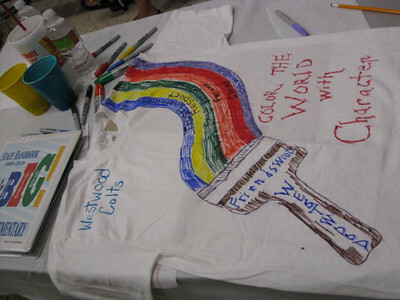 The activity that inspired a creative and colorful product found the Westwood family challenged to design t-shirt logos that encapsulates character. 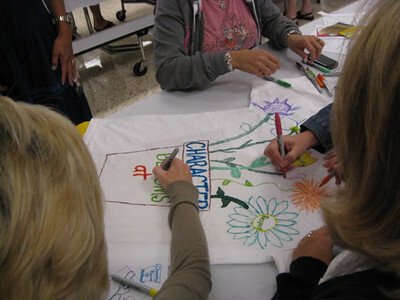 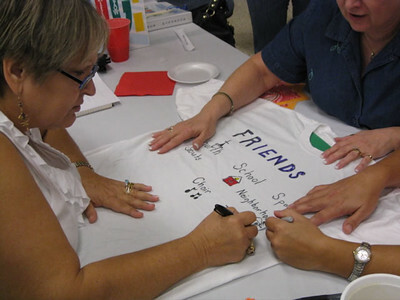 The fun began when teachers randomly drew a slip of paper with the name of a well-known song for them to sing. 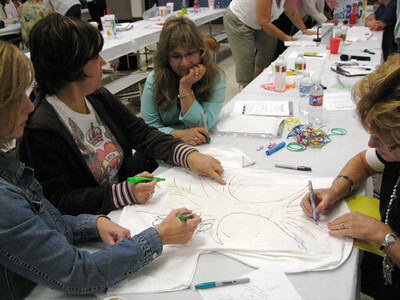 They found their t-shirt teams by listening for and connecting with the others in the room who were singing that same song. 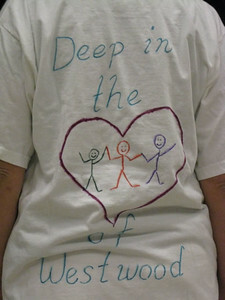 Strains of Row, Row, Row Your Boat and Happy Birthday went out and teams were formed. 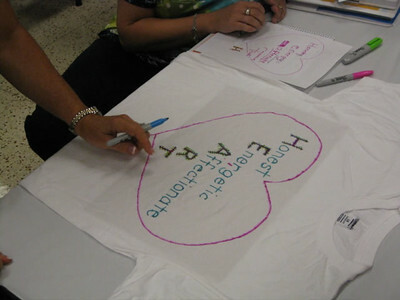 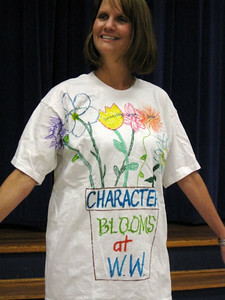 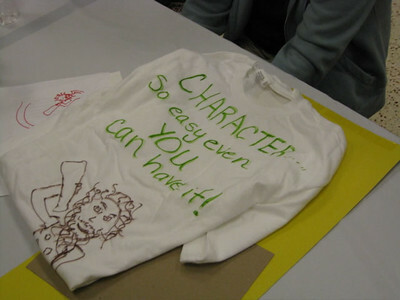 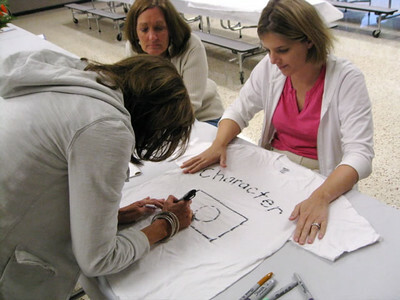 Twenty minutes later, the ten groups had each created a character tee. 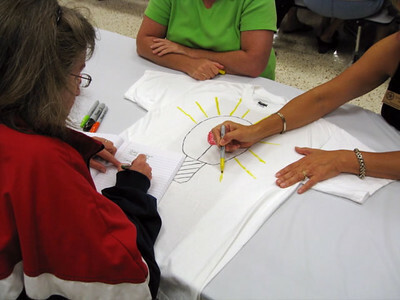 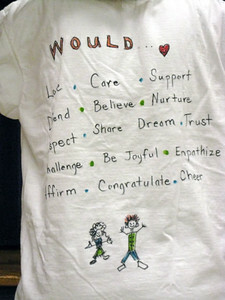 A representative from each group then modeled the t-shirt as a partner explained their design to eager peers. 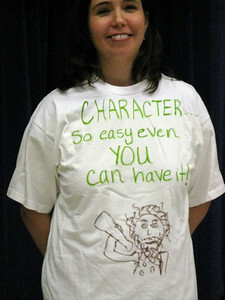 T-shirts will be on display in the teachers' lounge and are likely to become door prizes this year's faculty meetings.